Ninth District City Councilman Curren D. Price, Jr. will hold his Community Swearing-In Ceremony Saturday, July 13 at Los Angeles Trade Technical College(North Tent Area), 400 W. Washington Blvd., Los Angeles, CA 90015. Beginning at 10:00 a.m., local radio personality Josefa Salinas will serve as mistress of ceremonies. Remarks will be provided by Los Angeles City Council President Herb Wesson, Los Angeles County Supervisor Chairman Mark Ridley Thomas, Los Angeles County Federation of Labor Executive Secretary-Treasurer Maria Elena Durazo, President of the Los Angeles Chamber of Commerce Gary Toebban, and former 9th District City Councilwoman Jan Perry. The Ceremony will also feature special performances by Grupo Folklorico Guish-Bac and Lula Washington Dance Theatre. 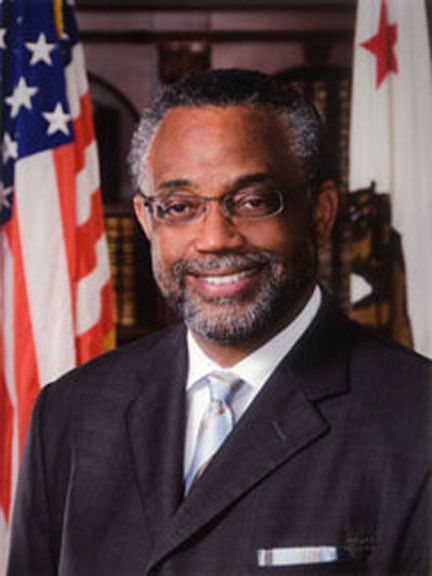 Price was first elected to the California Legislature in 2006 to represent the 51st Assembly District and was re-elected by an overwhelming margin to a second term in 2008. In May 2009, he won a special election, and in November 2010 in the general election he won with 83% of the vote in the 26th Senate District. That district included Culver City and portions of Los Angeles including, Beverlywood, Larch­mont, Hollywood, Little Ethiopia, Koreatown, Ladera Heights, Leimert Park, Vermont Hills and parts of the 9th Council District. Various public, private and non-profit agencies will have resource tables at the event to share with the general public. Agencies include: Department of Public Works, Department of Social Services, St. Johns Wellness Center, and the Small Business Development Center.